YOU WILL NEED ADOBE READER TO OPEN AND VIEW THE FILES AND ORDER FORMS. 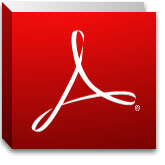 IF YOU NEED A COPY OF ADOBE READER, PLEASE VISIT THE ADOBE SITE FOR A FREE DOWNLOAD. CLICKING ON THEM AND CHOOSE "OPEN IN NEW WINDOW."